Remember, remember the 5th of November....isn't that how it starts? For those involved in adoption the 5th of November means more than just Guy Fawkes and fireworks - it also falls in National Adoption Week, and for us it's just a couple of days before Mini's Adoption Day, the day on which we remember going to court and having a judge rule that we were officially Mini's parents, and officially a family. 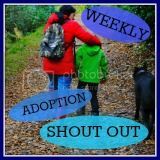 I don't want to go on too much about National Adoption Week, but if you want to read more then check out my other site www.theadoptionsocial.com where you'll see all sorts of posts supporting this initiative. But onto the main event...or so I'd hoped. 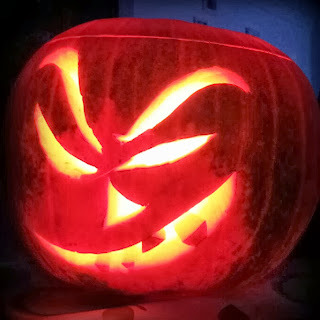 I had thought this Britmums Carnival could celebrate the Guy Fawkes and Fireworks theme of After Dark, especially now the clocks have gone back, the evenings (and the dark) are drawing in, and many of us spent some time out after dark last week with our little ones trick or treating and dressing up for Halloween. Given the theme, I was hoping for a deluge of posts of your little cuties dressed up, over-sharing of pumpkin carving cleverness, a few cracking squash recipes and maybe even some beautiful firework photos. But similar to Crewcutandnewt.com's carnival a couple of weeks ago, despite my tweeting, blogging, retweeting and facebooking, it seems few of you are up for a jolly carnival time right now...perhaps too many of you got blown away by the storm last week? Maybe you're all just hunkering down inside away from the cold weather - incidentally have many of you had frost yet? We've woken up to a white shed roof on a few occasions now. So, this carnival is sadly not very celebratory, or vibrant, or any of the things you'd expect from a carnival. But, we do have a couple of participants to whom I'm grateful for keeping me company (and stopping me eating all the toffee apples and spiced pumpkin soup over there in the corner) - go and read Tiger Tales who shares what happens after dark in her house...and Yummy Mummy Survival tells us all about her six year old teenager! And do feel free to help yourself to a toffee apple too, or some soup...it's very nice. We didn't do any celebration or take the kids to see the fire works, sigh, certainly next year though. Baby girl will be older and me be scared less easily. Thanks for hosting the carnival and sharing our stories..